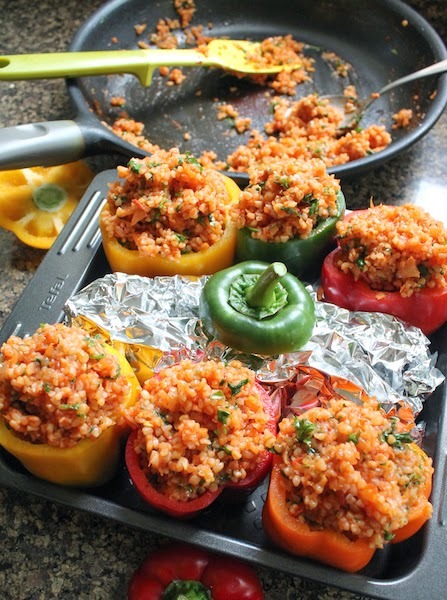 These colorful roasted peppers are stuffed with a hearty filling of nutty bulgur wheat and tomatoes, seasoned with onion, parsley and cilantro, perfect as a side dish or main course. Growing up in a Catholic family, I understood about not eating meat on Fridays, especially during Lent – those 40 days before Easter Sunday – but I never thought of it as fasting. Fasting was when you didn’t eat at all. Perhaps it was just my ignorance but, turns out, in the Orthodox church, it’s considered fasting when you abstain from meat as well and there are certain sects that will eat no meat, fish, dairy or eggs for the whole of Lent. How did I learn this? Well, about five years ago a girlfriend had to go into the hospital for treatment, nothing too serious – I think it was gallstones perhaps, but it meant being away from home for several days and leaving her husband and daughter to fend for themselves. So a group of us decided we should make and deliver meals to help out. I asked if there were any dietary restrictions and she said her husband was fasting. Her husband is Greek Orthodox and, since it was Lent, that meant no meat, no poultry, no fish, no dairy, no eggs! There went my plans for several cheesy casseroles that travel and reheat well. Thank God for the internet! A search for Greek Orthodox Lent recipes led me to several very useful sites, which I shared with the other ladies who were cooking. Note: If you are actually cooking for a strict Greek Orthodox friend, double check whether they also abstain from olive oil during Lent, and substitute canola or the like. 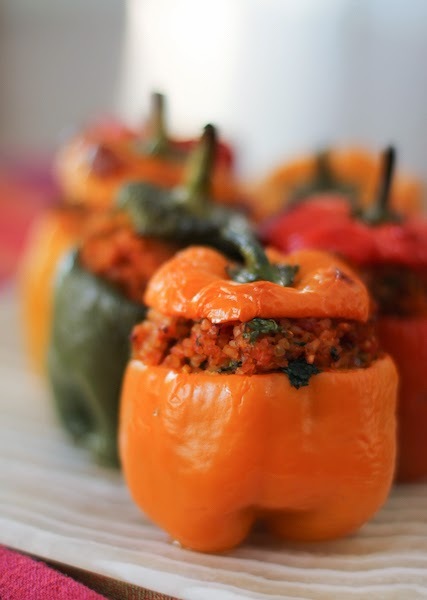 These stuffed peppers were so good that after I had made a batch for my friend’s family, I made a batch for us. And, still do, every once in a while. When this week’s Sunday Supper theme of Heart Healthy was announced, I knew these would be perfect. Meatless, cheese-less but, oh, so tasty! And I think they are quite pretty as well. I adapted this recipe and serve them as a main course, with a salad on the side. 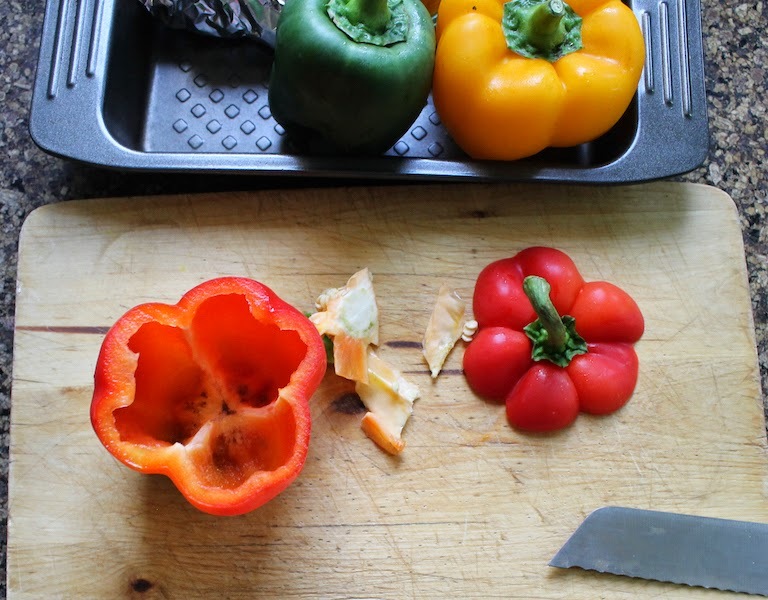 Cut the caps off the top of the peppers and remove the seeds and any lighter colored fibers from inside. Set the caps aside for later. The original recipe says to put them in a tight-fitting baking pan and to add crunched up parchment paper to fill any gaps but I like to use foil instead. Wedge them tightly together so they stand upright. In a large skillet, add a drizzle of olive oil and sauté the onion for a minute or two. 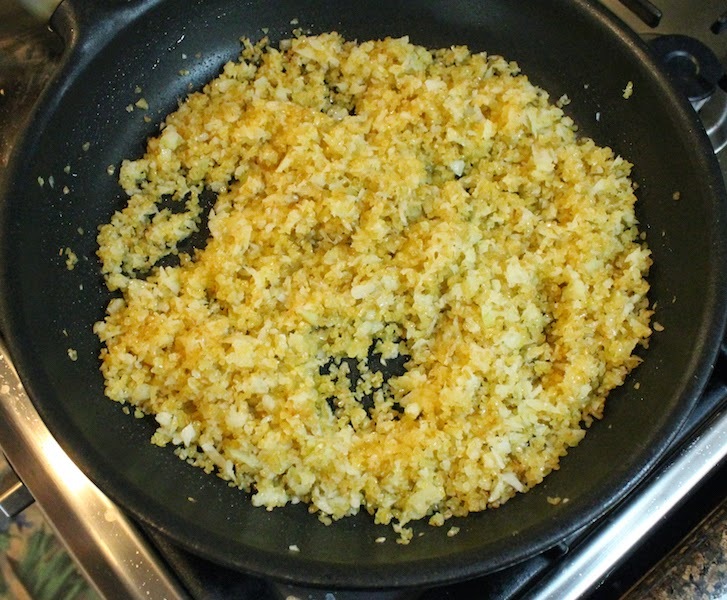 Add in the bulgur wheat and stir well to coat it with oil and onions. 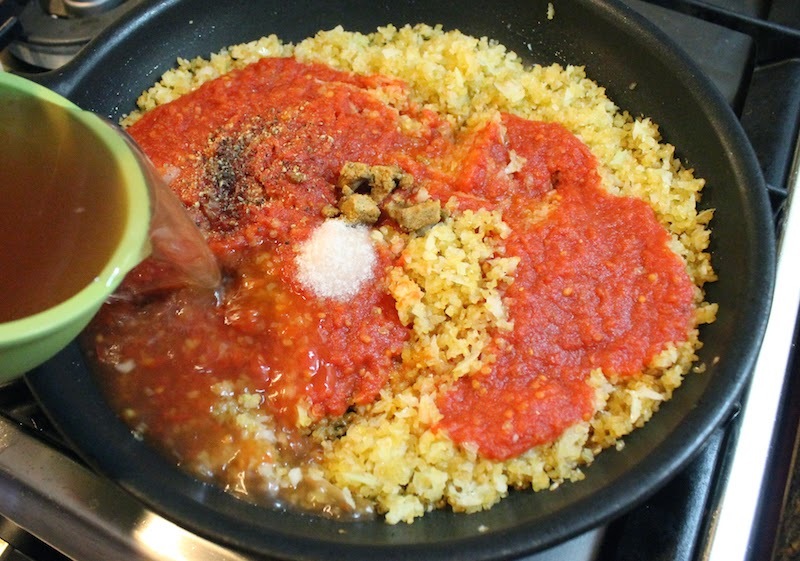 Stir in the canned tomatoes along with the salt, vegetable cube, black pepper and 1 1/4 cups or 300ml water. Bring to boil over a medium heat then turn the fire down to simmer and cover the pan loosely with a lid. Preheat your oven to 350°F or 180°C and chop your parsley and cilantro roughly. 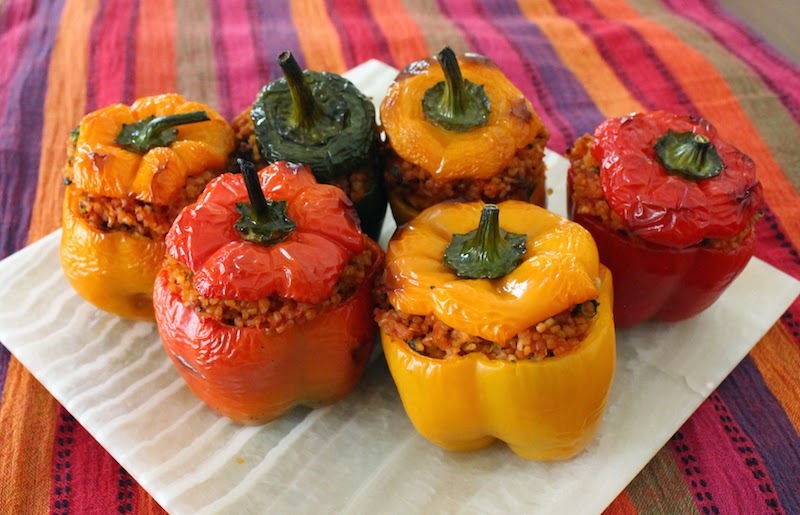 Cook the bulgur for about 10 minutes and then taste to see if it needs more salt. I don’t usually have to add more salt, but I do add some crushed red pepper for a little spice. Remove from the heat and stir in the chopped parsley and cilantro. Allow to cool for about five minutes. 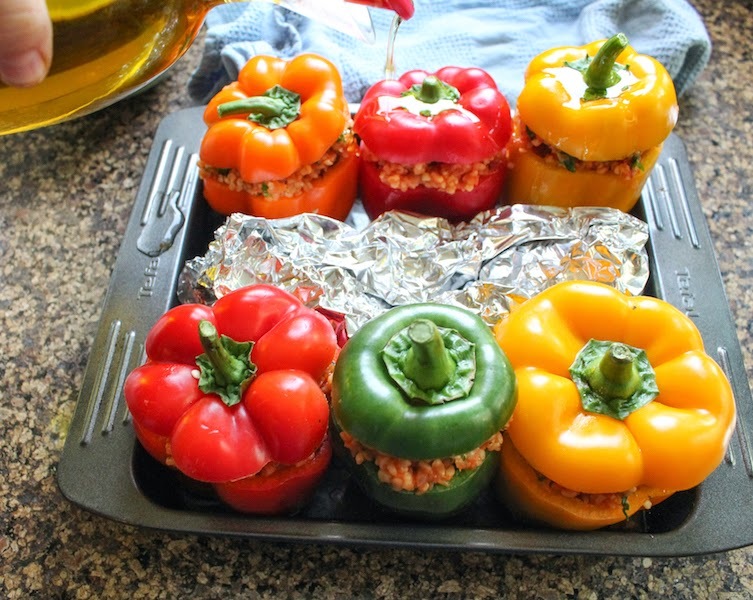 Fill your peppers with the stuffing and top with the reserved pepper caps. If you have a little stuffing left over, consider that the cook’s treat and eat it straight from the pan with a spoon. Delicious! 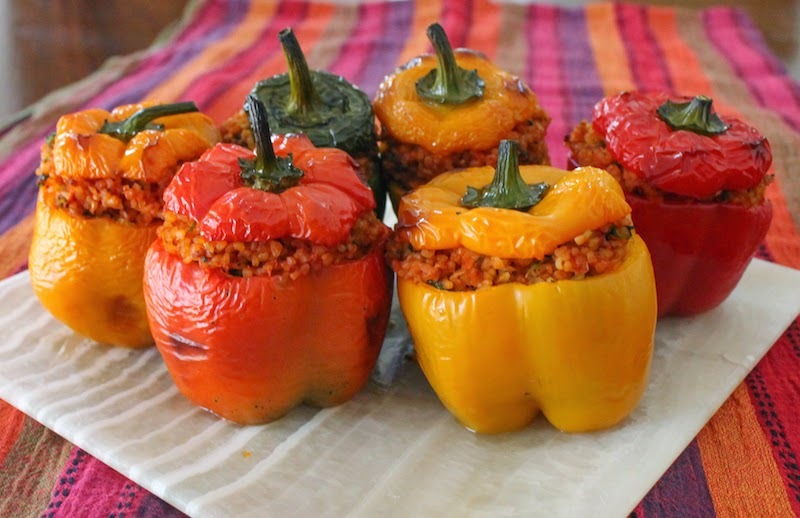 Drizzle on a little olive oil and roast the stuffed peppers in your preheated oven for about one hour or until the peppers are softened enough for your liking. Check part way through and cover the tops with foil if they are browning too much. 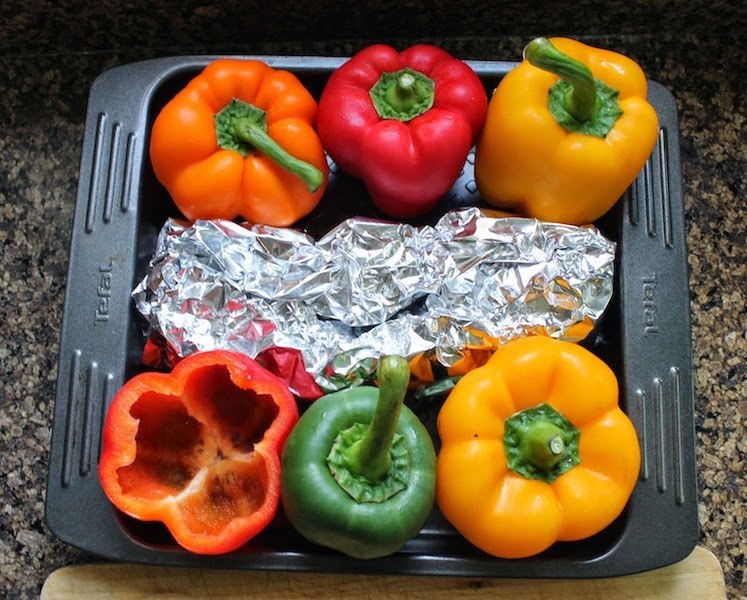 The original recipe said to allow the peppers to cool and serve them at room temperature but we prefer them warm. Please join my Sunday Supper group and today’s hosts, Lori from Foxes Love Lemons and Ethel from eating in instead, as we celebrate National Heart Month with loads of delicious heart healthy recipes! We tweet throughout the day and share recipes from all over the world. Our weekly chat starts at 7 p.m. ET. Follow the #SundaySupper hashtag and remember to include it in your tweets to join in the chat.